Doyen of Assamese cinema, Brajen Borah in his speech, justifiably opined, that, in a sombre yet colorful function organized by NEEDS, “ Mother Kunti would distribute food for all her five sons everyday, when they were in exile and sometimes if there was no food for herself, she would starve! Gandhiji lived for this country with love, you live for that and that is patriotism! Same was the case with Newton, the scientist. He was to get married. On the day of his marriage, he forgot to attend because he was involved in his scientific experiments in the laboratory. This only means that he loved his science so much that he lived for it. So, where there is love, you live for it. Where there is love you reciprocate it! It appears to me, perhaps Amardeep Paul falls in the said category of lovers! Otherwise why he would choose to serve the society!” Yes, the founder of NEEDS, one of the notable NGO of Assam is advancing fast with missionary zeal, turning no stone unturned, to help the society in its hour of needs on various spheres. 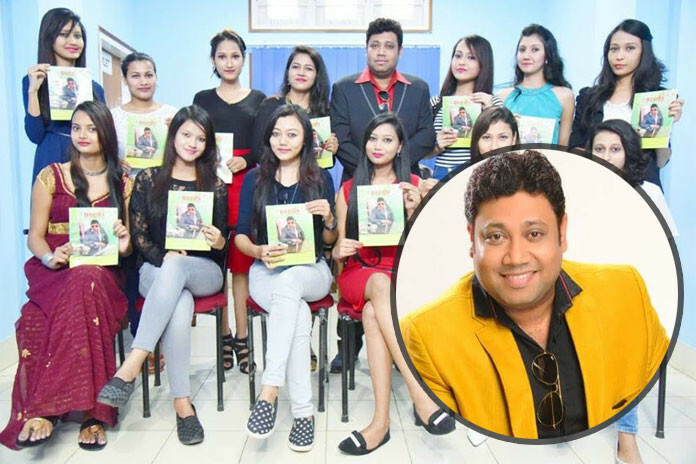 On 27th March, NEEDS successfully organized ‘ Miss Perfect 10 ‘ where choreographer Mr. Uday Shankar and Monica Bedi of Bollywood fame were the judges respectively in the grand finale, where Miss Pompi Das was adjudged the best among the Miss Perfect 10. As lady luck smiled benignly upon Miss Pompi Das, she was enriched by not only one lakh Indian currency but also with an offer of one year’s association with NEEDS and also the most coveted offer of working in the forthcoming feature film of Mr. Amardeep Paul, in the capacity of the heroine. Besides, four other contestants, Suhani Lahkar, Daisy Das, Ruhi and Anushka also won the awards of excellence with the crowns of Miss Personality, Miss Catwalk, Miss Perfect Dance and Miss Perfect Figure. Apart from this contest, the stage was vibrant by creative dance performances by reputed artiste like Marami Medhi, Meghranjani Medhi, Neel, Sunita Kaushik, Akash Sur, Iti Phukhan and few others. Everything said and done, the central focus of the event was the charity part, which includes Rs. 10000 per month donation in recurring phase to Destination, which is providing food, clothing, shelter and education to a sizeable number of mentally challenged young children of our society and a donation of 1 lakh rupees to a child,— Sumu Kalita, who was suffering from brain tumor for his prompt and inevitable operation. Today, the readers will be happy to know that the operation was successfully conducted and as on date he is living a normal life, which was a distant dream for the child and his parents, till he received the boon in the form of money from Mr. Amardeep Paul. We know, this is just the beginning; we also know Mr. Paul is relentlessly striving to uplift the society for his envisaged uthopian dream.